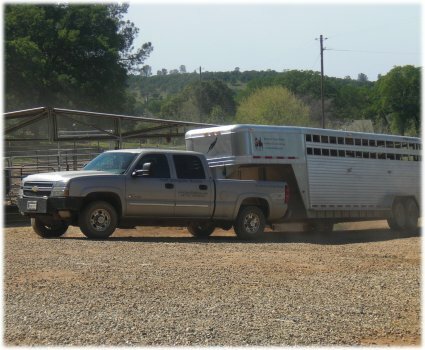 We would like to take a minute out of our busy rescue operation to alert you to a stolen horse in the Bangor, Ca area. She was stolen about a month ago. If you see this horse, please contact us right away. He owner has been putting up signs and flyer’s, but they have all been ripped down, leaving her owner to believe she is still somewhere in the area. She contacted the police, Animal Control, Humane Society, and us. 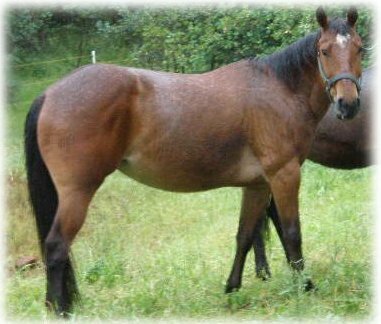 She is an 11 year old bay mare, she has a star, 1 hind sock on the right. Her owner raised this horse from a baby and would desperately love to have her back. 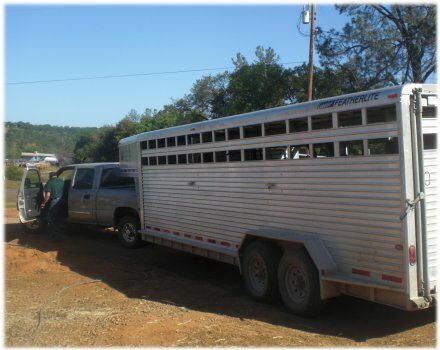 Jason hooked up the trailer and was ready to head out right after feeding was done this morning. Larry offered to ride along and lend assistance on this rescue. Jason and Larry were heading down to pick up two horses. 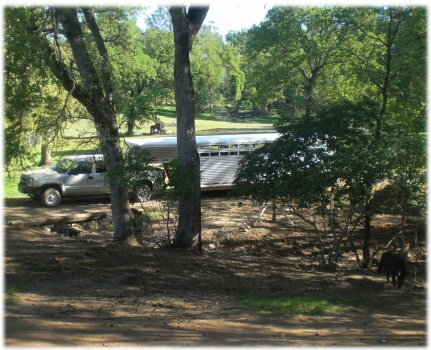 They were two horses that someone with a nice pasture had offered to care for short term, but then the owner never picked them up and left a voicemail that simply said “Shoot them in the head or whatever.” The people that owned the pasture were not horse people and could not care for the horses any longer. Upon arrival Jason found two horses hanging out in a large (approximately 8-10 acre) pasture, certainly well fed and not underweight! They were told that one was easy to catch and possibly load, but the other was going to be trouble. 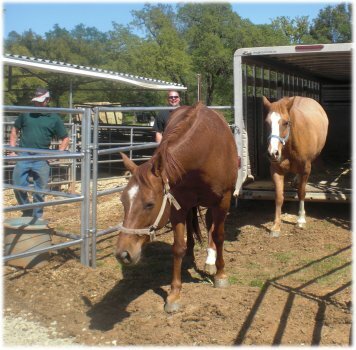 Sure enough, one of them was a pretty tricky horse, but she knew her foster family and she was coaxed into the trailer without much trouble. 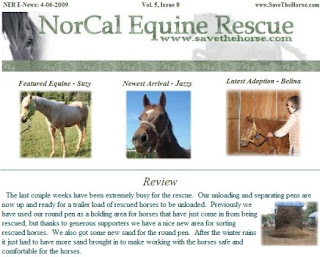 Jason and Larry, along with Little Man and Jazzy, arrived back at the rescue safely. April and Tawnee had finished getting the paneled sorting area ready for them. So, it was used for the first time today, and it functioned flawlessly! They settled in and enjoyed taking long looks around. They sure are both beautiful! Unfortunately their feet have been neglected and they both need some farrier care. 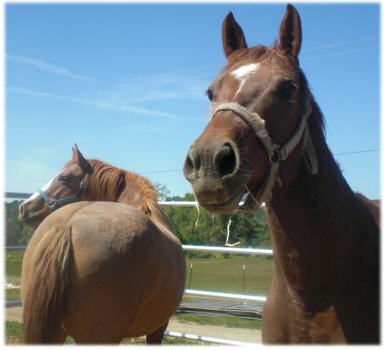 The dun is a Mustang and the Chestnut is a QH, supposedly purebred. These two could certainly use an exercise program. 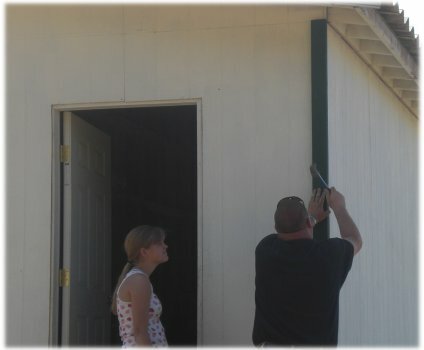 Larry and Danielle immediately got to work putting up the trim on the tack room. 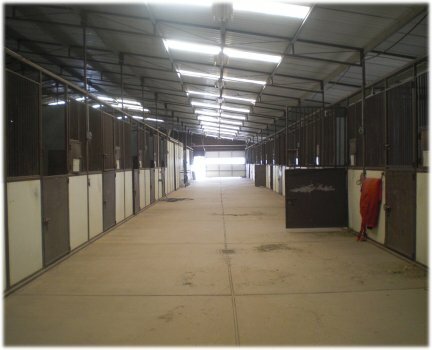 It’s amazing what a little trim will do to enhance the appearance of a tack room. Towards the end of the day we finally got an appointment to look at the horse property that is for sale with the realtor. It’s a really amazing place! It has a big roomy office, seen below. 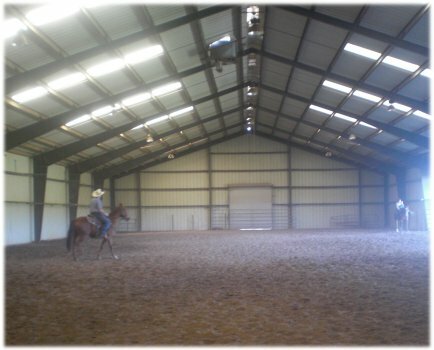 The riding arena is quite spacious and comfortable with nice sand, a sprinkler system, lights, and ceiling vents to cool it all down. 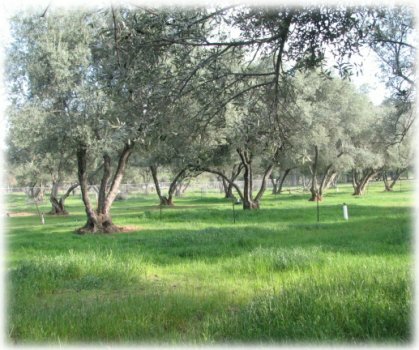 It even has lush irrigated pastures. Only time will tell, but even if it ends up not being NorCal’s permanent location, it is always fun to plan and dream. Jason worked hard on an E-news this evening, and sure enough, it made it on its way! If you did not get yours, please click here to read it online. Please remember the April Auction rescue fund, click here to donate if you can. You have been wearing green polo shirts alot recently, are they your new uniform? I think they are ok. I do prefer variety, uniforms get so boring to look at. Although it is nice when you are looking for a sales associate at a Walmart. OMGOSH! 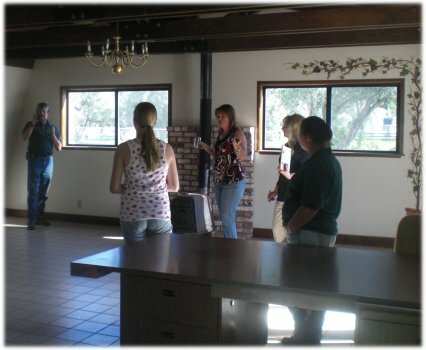 I hope you get the new place…It is gorgeous…And I know the horses would love it! Your rescue deserves something like that! And congrats to you for saving/rescuing/rehoming all of the those horses! I read your blog everyday! I love it!! It really brightens my day! ((HUGS)) Great job!!!!!! Thanks to all who volunteer!! !